More than 7,000 people hit the streets and parks of Western Sydney this morning to participate in the first major running festival and community event for Western Sydney, NAB RunWest. Hosted by Athletics Australia and Athletics NSW, in partnership with West HQ and New South Wales Government, the inaugural event saw thousands of participants of all ages and abilities walk, jog and run through iconic Western Sydney destinations, including the new Sydney Zoo, Sydney Motorsport Park, the Western Sydney Parklands and Blacktown International Sports Park. Intended to celebrate the best of Western Sydney and inspire a sense of community, NAB RunWest attracted crowds from all over Sydney, including the local area and interstate. “Sunday’s turnout was nothing short of inspiring – to have so many faces of all walks of life show up to enjoy the sun and partake in both the 12km and 4km race is a true testament to the incredible community spirit of the West,” said Athletics Australia Vice President, Jan Swinhoe. The day’s fastest time went to Ben St Lawrence, who completed the 12km course first in 36:20, followed by Keiren Tall who made it in 37:26, and David Criniti who took third place with a finishing time of 38:38. Katie Conlon was the first female to cross the finish line today with a time of 43:51. Second place went to Rosie Weber with a time of 46:06, followed by Alexandra Bell who took third place with a finishing time of 47:32. The 4km family friendly course welcomed more than 3,000 people who jogged, walked, danced and pushed prams from Blacktown International Sports Park to the finish line in Rooty Hill. Will Pearson was the first male to complete the 4km race in 13:45, followed by Brody Elbourne with a time of 14:28 and Kelvin Meng, who came a close third finishing the course in 14:32. The first female to finish the 4km race was Paige Penrose with a time of 13:56. Followed by Karen Gauci who took second place with a finishing time of 15:18, and Jamie Wade coming in third with a time of 15:48.  Athletics NSW Chairman Peter Higgins said the organisers were thrilled to have so many registrations for the 4km family friendly race, including NAB RunWest hero and Australian sporting icon John Maclean, who walked with rugby league legend, Mark Geyer, and numerous funding recipients from the John Maclean Foundation. “From day one we’ve been committed to creating a legacy event that promotes health and fitness for the whole community,” Higgins said. Adding to NAB RunWest’s broad appeal was the Finish Festival at West HQ, which greeted participants at the end of their race with a vibrant atmosphere of food trucks, entertainment, activities, a petting zoo and meet-and-greets with local sporting heroes. West HQ CEO Richard Errington is proud to be a founding partner of this milestone for the West that is estimated to have brought over 7,000 visitors to the region. “Western Sydney locals and all participants should be so proud of not just the results and the money raised, but the energy and sense of community we all felt on Sunday,” Mr Errington said. NAB Executive General Manager, Retail, Krissie Jones said NAB is proud to support RunWest and more importantly Western Sydney.